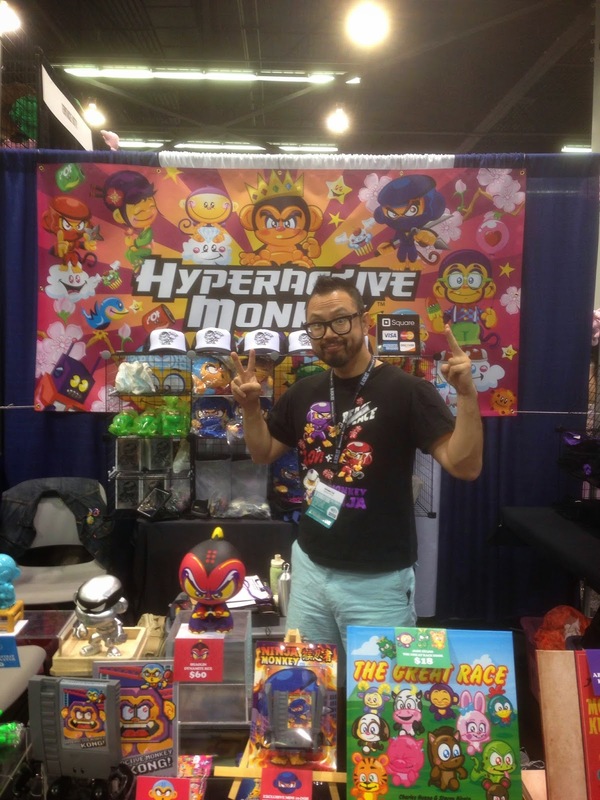 Angry Koala Gear: Hyperactive Monkey at WonderCon 2014! 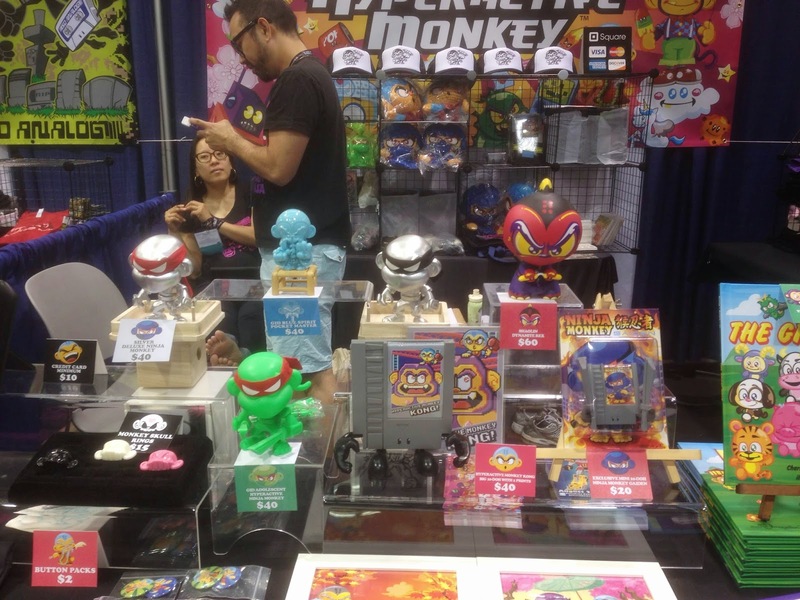 Hyperactive Monkey at WonderCon 2014! 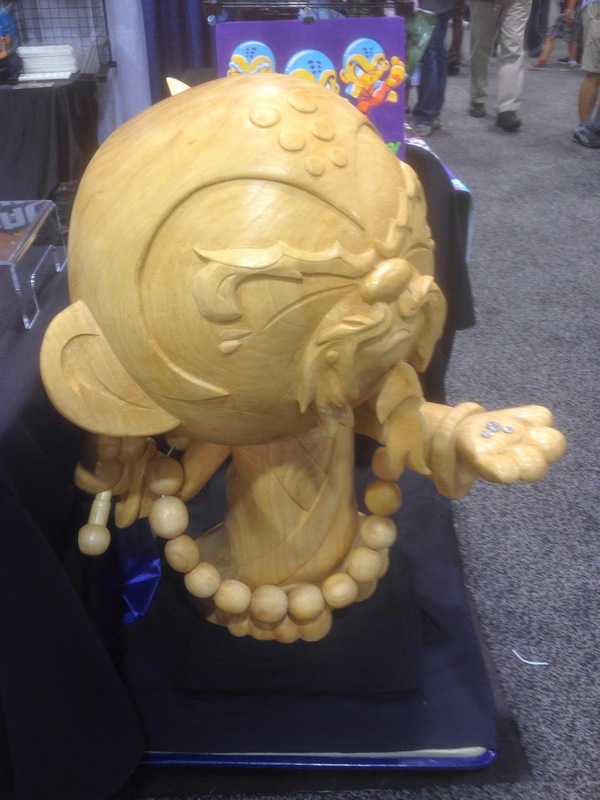 With so much great stuff at WonderCon, it is hard to narrow down what I want to talk about. One artist's work that I have always liked, but have yet to write about is Jerome Lu and Hyperactive Monkey. 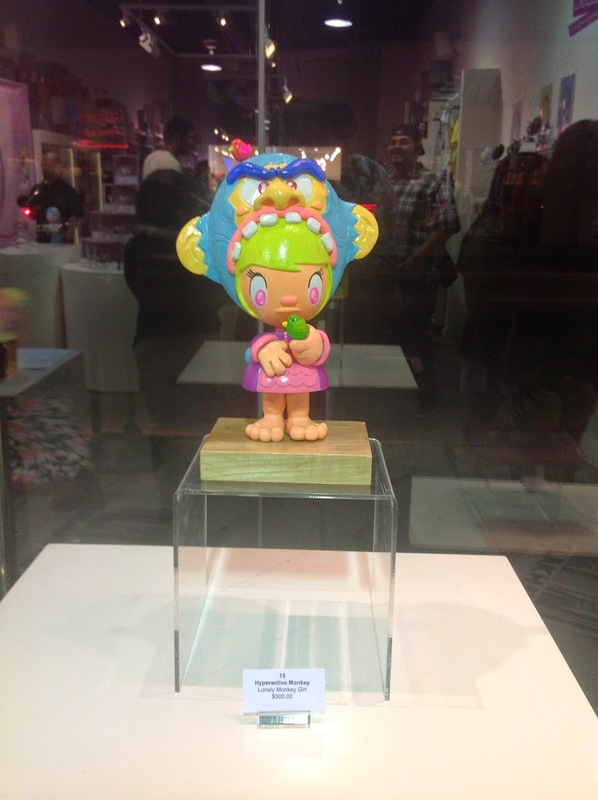 "HYPERACTIVE MONKEY is the collective works of Jerome Lu. It is where your wildest dreams and Saturday morning adventures come true..."
Who is this Jerome Lu, you ask? Here is his story, which can be found on his website, "Jerome Lu was born in Mountain View and raised in the Bay Area by a family of wild monkeys. Even when he was a small chimp, they could see that he believed every crayon in the box had magical powers, and he would transform blank pages into colorful, fantastic worlds filled with monkeys, ninjas, robots and all his craziest dreams. His wild monkey relations soon recognized his artistic talent and nurtured it with a diet of Skittles and Corn Nuts. They made sure his art education included Saturday morning cartoons and ABC After School Specials. Now that Jerome has grown up to be a big monkey, they are quite proud that his childhood creativity has never diminished. In fact, it has grown, and he is working on his biggest art project to date: constructing a 20-story ultimate monkey ninja robot." 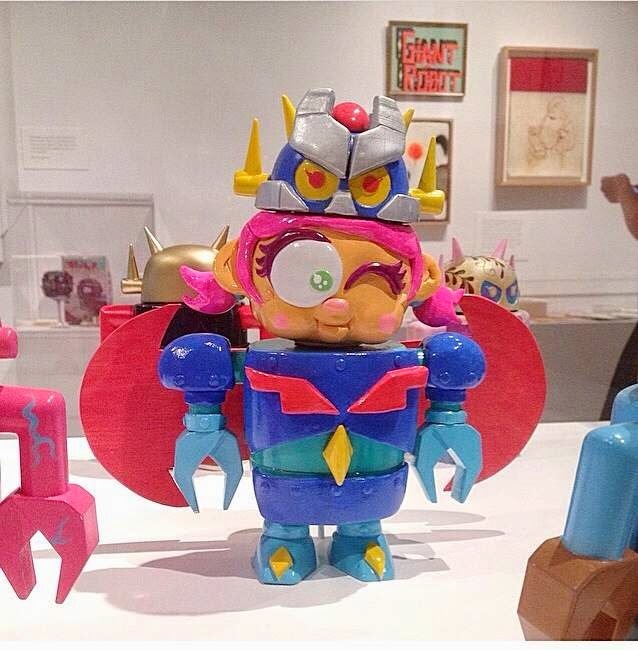 Here are two examples of custom toys that Jerome created for the Lolligag show at Toy Art Gallery and the Super Awesome show for Giant Robot which was held at the Oakland Museum of California.